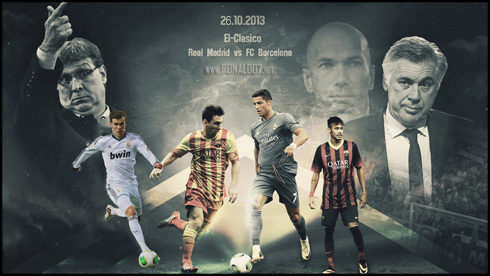 ﻿ Real Madrid vs Barcelona: All set for an electrifying Clasico! 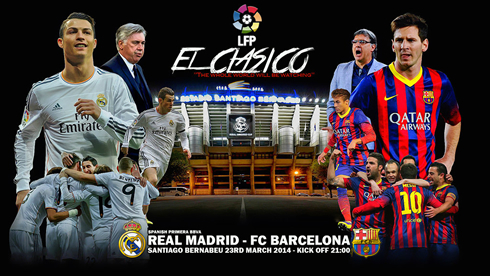 20.03.2014 » Real Madrid vs Barcelona: All set for an electrifying Clasico! It's the game we've all been waiting for! In one side we'll have Real Madrid, looking stronger than ever and unbeaten since that 2-1 loss in the league Clasico from October of 2013. At the other side there's Barcelona, the current Spanish champions and coming into this game with their pride hurt. 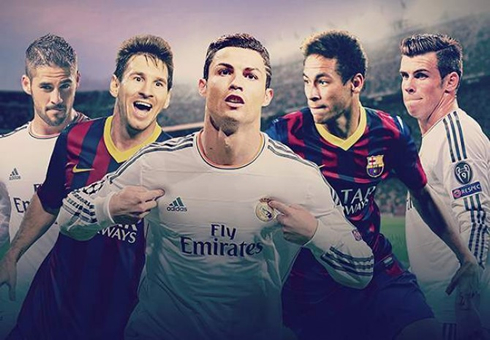 It's the first Real Madrid vs Barcelona of 2014 and unlike other seasons, the pressure will be all in the visitors' shoulders. 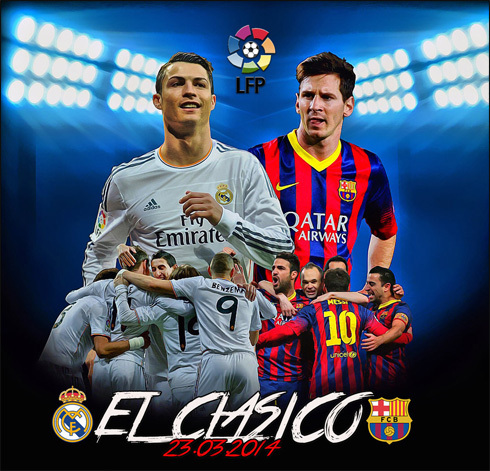 Real Madrid and Barcelona will lock horns this Sunday night, in what will be the first "Clasico" of 2014 between these two Spanish giants. The Merengues are currently leading La Liga, 3 points on top of Atletico Madrid and 4 above Barça. The stakes are extremely high at this stage of the season, especially for Gerardo Martino's men since they can't afford to drop any points in the Bernabéu if they still want to have a say in the title fight. 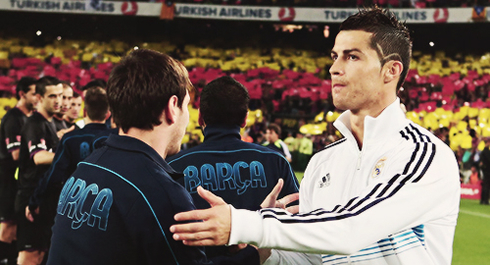 As it happened in previous meetings, the spotlights will most likely be turned to Cristiano Ronaldo and Lionel Messi. The Real Madrid star seems to be on a better form right now, but in a "Clasico" like this Real Madrid vs Barcelona, anything can happen! However and before all eyes are set in Spain this Sunday, another big tactical battle will be taking place in England this Saturday, with a Chelsea vs Arsenal collision at the Bridge that can very well turn out to be decisive in the Premier League title run. Carlo Ancelotti's troops couldn't have asked for a better time to host Barcelona at the Santiago Bernabéu. Even though this Clasico isn't very likely to present us with a true chess battle between Real Madrid and Barcelona on the pitch, it will be interesting to see which team will end up changing their own playing style more than the other. The Merengues are on a 31-game unbeaten streak when combining all competitions (La Liga, Copa del Rey and Champions League), have recently grabbed the top stop in the Spanish League and have also confirmed their qualification for the Champions League quarter-finals this past Tuesday. Moreover, Cristiano Ronaldo is once again on fire and he has already scored 7 goals in his last 5 games for Real Madrid. It may have taken a while for Carlo Ancelotti to find his ideal line-up since he landed in Madrid, but curiously or not, it seems to have happened shortly after Sami Khedira's injury in last November and Xabi Alonso's return to activity. In a matter of weeks the Italian manager seems to have found the much-wanted balance between the sectors of the team and with that, the quality of Real Madrid's performances increased dramatically in no time. Xabi immediately regained his spot as defensive midfielder, but the key has turned out to be the decision of pairing up Luka Modric with Angel Di María in front of him. The two players have brought a whole new dynamic to the team and their work rate when it comes to defend and regroup at the back has been decisive in a good share of few games so far. Another key point in Ancelotti's tactics this season has been the stability and consistency in Real Madrid's defense. The Merengues have conceded only 7 goals in their last 19 games, and have managed to keep a clean sheet in 14 of those fixtures. The rotation between Diego López (playing the league games) and Iker Casillas (playing in the Copa del Rey and in the Champions League games) is definitely giving its fruits by keeping both goalkeepers highly motivated. Howeer, no credit should be taken from the back four picked for every game. Marcelo and Fábio Coentrão on the left have been showing a good level, while Arbeloa and Carvajal on the right didn't disappoint at all as well. In the centre of the defense, it's been mainly Pepe and Sergio Ramos who have brilliantly takencare of business, even though Varane has come to give a hand lately, after finally making his return from injury. In the attack, the solution seemed quite easy right from the start of the season. The BBC partnership (Bale, Benzema and Cristiano Ronaldo) have been absolutely on the spot and the three players have been tearing defenses apart week after week. It took some time for Gareth Bale to get to his best form, but after overcoming a series of injuries, the former Tottenham winger seems to finally be showing what has made Real Madrid pay such an enourmous amount of money for him last summer. This Sunday night, we can expect all hell to break loose in Barcelona's defense when these three men step into the Santiago Bernabéu pitch. While Real Madrid's season seems to be getting better and better as we get to the decisive months, Barcelona has been going through a rough patch since the beginning of the year, with issues coming to surface both on and off the pitches. If in one hand Bale seems to have found his place in Real Madrid's tactics, the same can't exactly be said about Barça's major summer signing, the Brazilian super star Neymar. As feared by many, the 22-year old forward is struggling to adapt to the higher intensity and bigger physicality in Europe, and his first season's performances have been a bit below the initial expectations. As if that wasn't enough, the whole controversy surrounding his transfer from Santos to Barcelona has put the Blaugranas on a very bad spot, forcing them to pay a large amount of fines to the Spanish Government after having apparently deceived the local tax authorities, and which ultimately led to Sandro Rosell's resignation from the club's presidency. The last months haven't been particularly happy times for Barça either, with several poor performances in the Spanish League that ended up allowing both Atletico Madrid and Real Madrid to surpass them in the standings. The Blaugrana will go into this Bernabéu game desperately needing to cut their 4-point deficit to Real Madrid, especially if we bear in mind that there are only 9 fixtures left to be played after this Sunday's fixture and that the Merengues have already had their two games against Atletico Madrid. Similarly to Real Madrid, Barcelona have also earned their ticket to Champions League quarter-finals recently, after getting rid of Manchester City on a 2-leg tie. Their form in Europe can't really be much criticized, since they did finish on top of their group with 4 wins, 1 draw and 1 loss, before winning both matches against Man City (0-2 at the Etihad and 2-1 at the Camp Nou). It's the level of their performances in the league that has been extremely poor at times and if that doesn't change next Sunday, their title hopes might go down the drain after those 90 minutes at the Santiago Bernabéu. The good news for Barça is that Lionel Messi seems fully recovered from his hamstring injury that basically kept him out of the action in the very last months of 2013. Whether we want to admit it or not, Messi is still by far the most influential player in Barcelona, just the same way that Cristiano Ronaldo is the key player for the Merengues. This Real Madrid vs Barcelona clash at the Bernabéu will be another tale between these two major rivals in Spain and it may turn out to be only the first of a total of 4 Clasicos that we may still have ahead of us until the end of the season. 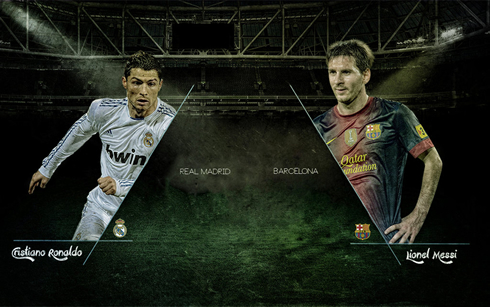 With the Copa del Rey's final scheduled to be played next month and with the these two teams still chasing glory in the Champions League, if they get drawn against each other either in the quarter-finals or semi-finals, we're up for a sensational rollercoaster of Clasicos in the months coming! 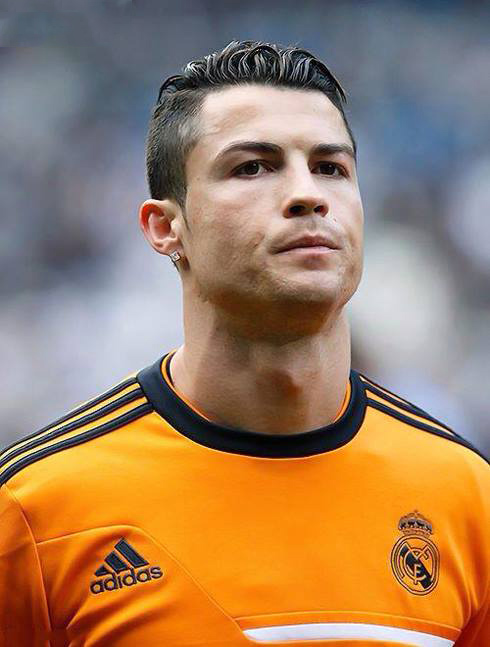 Cristiano Ronaldo next game for Real Madrid will be for the Spanish League against Barcelona, on March 23 of 2014. You can watch Juventus live stream, Real Madrid vs Barcelona, Cardiff vs Liverpool, West Ham vs Manchester United and Chelsea vs Arsenal, all games provided from our soccer live stream section.